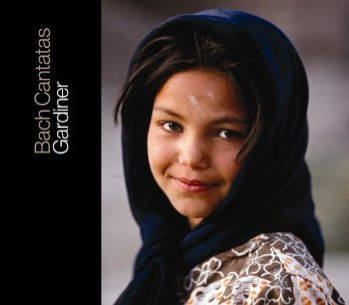 For the latest release of the 'Bach Pilgrimage' series, Sir John Eliot Gardiner and his musicians offer their interpretation of the cantatas for the second and third Sunday before Lent, recorded live in February 2000. The first three works, BWV 144, 84 and 92, are filled with a sense of combative acceptance of the adversities that life loads onto God's children. Each one offers a different configuration of these sentiments, moving with delicacy from grief to compassion to blissfulness. Gardiner's perceptive direction and his musicians' sensitivity make the listener able to experience them all. The Monteverdi Choir's approach to the BWV 144 opening chorale sets the tone for the whole cantata - one of urgency and exhortation. In fact, 'Nimm, was dein ist, und gehe hin' ('Take that thine is, and go thy way') opens without any instrumental preamble, and is sung with anxious vigour. Then, a sorrowful and tender alto aria interpreted by Wilke te Brummelstroete lends this cantata an intimate turn, a mood echoed by the soprano aria that follows. The latter encapsulates the spirit of this work, written for the Sunday of Septuagesima: the lingering on the word 'Genügsamkeit' ('contentedness') is central to the whole cantata's architecture, and Miah Persson interprets the sentiments beautifully. She ably to exploits this piece's nuances: the warm-sounding oboe dialoguing with the voice gives the aria a reticent and yet elegiac tone. BWV 84 begins in a different mood, even though the dramatic context develops along the same lines as the preceding cantata. The dialogue between the soprano and oboe, accompanied by animated strings, assumes here a different and less submissive tone. This is a work for solo soprano, and Miah Persson manages to exploit a wide emotional range, the apex of which is the aria 'Ich esse mit Freuden mein weniges Brot' ('I eat my meagre bread with joy'). Then, after the turmoil expressed by the vocal lines, the final a cappella chorale offers the relief of a moment of serenity. Another exploration of these sentiments pervades the third of Bach's surviving cantatas for this Sunday, BWV 92. Bass Jonathan Brown gives musical shape to steadiness and fortitude in his recitative. Particularly effective are the moments when a physical and mental confrontation is described, such as the lines 'Wenn mich die Wellen schon ergreifen/ und ihre Wut mit mir zum Abgrund eilt' ('When the waves lay hold of me/ and their fury drags me to the ocean's bed'). These verses are an allusion to the biblical story of Jonah and the whale, whose echoes are also perceptible in the 'submarine rumblings in the continuo' as Gardiner suggests in his insightful liner notes. Even though Brown's voice perhaps lacks some of the depth required for this particular section, his lines are drawn suavely and motivated by intense vitality. The tenor aria that follows, interpreted by a fiery James Oxley, is a masterly tirade for the first violins. The atmosphere created by the text and instrumental line is one of violent colours - one capable of representing the force of God's powerful arm as the unique and invincible shield against Satan, whose continuing rage is futile. The second series of cantatas was recorded at Southwell Minster and was originally written for the Sexagesima - the second Sunday before Lent. The thematic focus is on the revelatory power of God's word. 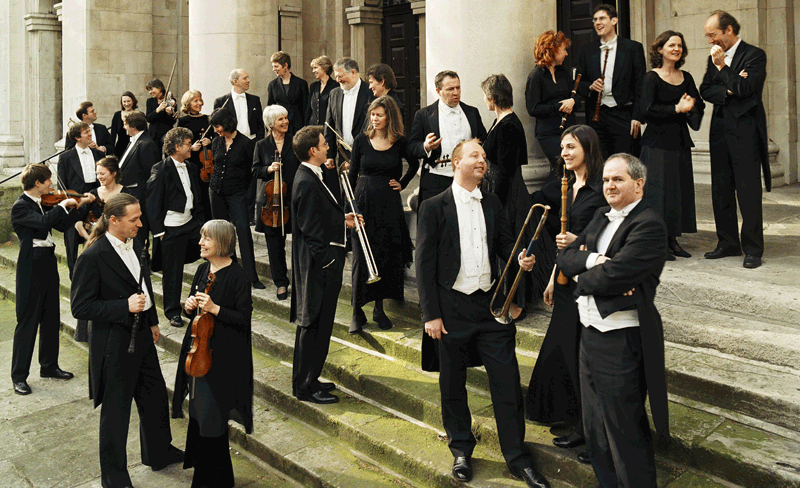 Bach achieves his expressive purpose through vibrant musical images that characterize all three cantatas. BWV 18 starts with an introductory instrumental movement (Sinfonia). The English Baroque Soloists make of this piece a nuanced and passionate thematic introduction to the cantata. They are followed by a brief soprano aria, 'Mein Seelenschatz ist Gottes Wort' ('My soul's true treasure is God's word'): Gillian Keith's singing portrays joyful, tender and fiery images of gratitude to the Lord; her voice memorably intertwines with the wind lines. Both BW 181 and 126 exploit full and bright sonorities, creating a tension in the counterpoint that Gardiner's interpretation depicts perfectly. The first starts with an evocative bass aria: Stephan Loges masterfully exploits the trills and the embellishments with which Bach portrayed the 'frivolous flibbertigibbets' ('Leichtgesinnte Flattergeister'). Some hesitation is perceptible in soprano Angharad Gruffydd Jones' recitative: her soft timbre makes her interpretation not entirely convincing. The final chorale is a colourful feast, with vibrant trumpets finally joining the ensemble. In its crescendo from acceptance to exaltation, BWV 126 is a triumph of fervour and flaming sounds. The initial 'Erhalt uns, Herr, bei deinem Wort' ('Uphold us, Lord, in Thy word') is representative of the colours expressed in this cantata: the chorale is an intense outburst of full orchestral sound under Gardiner's baton and his musicians' realization. James Gilchrist superbly interprets his virtuoso tenor aria; and the Choir is able to enshroud the concluding chorale with a warmth and stillness signifying hope of 'good government and peace […] in all goodliness and honesty'. Together with the excellent sound-quality and the informative and elegant packaging that characterise the entire series, this latest release from Soli Deo Gloria is another exceptional achievement. In his review of Volumes 3 and 27, Dominic McHugh noted that Gardiner's reading of Bach's cantatas and his musicians' interpretation are 'a lesson in how this repertoire should be treated'. This latest series is another, thrilling vindication of that judgement.